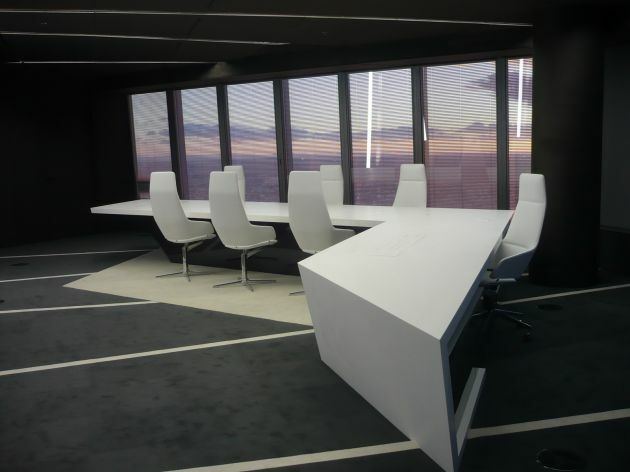 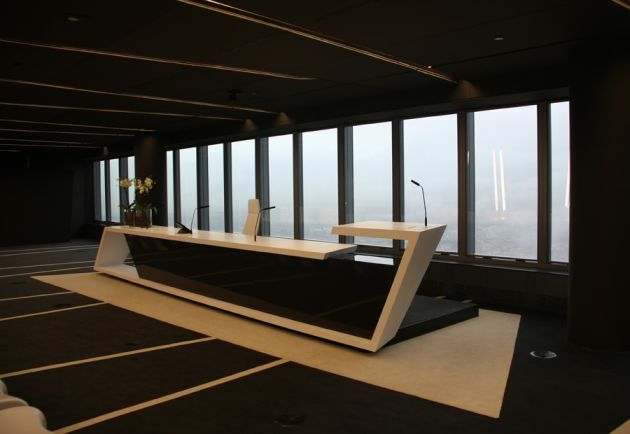 A-cero Architects have completed an office interior in the recently built Torre de Cristal “Crystal Tower” building in Madrid, Spain. 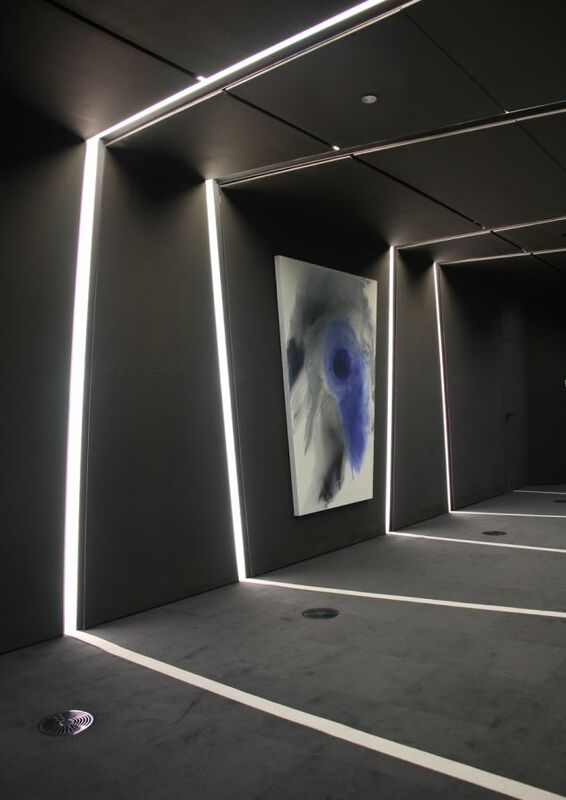 The architecture studio A-cero, that Joaquín Torres directs with his collaborating associate Rafael Llamzares, it finishes the first phase (the first office) of the design of interiors of the building Torre de Cristal “Crystal Tower” of recent construction in Madrid. 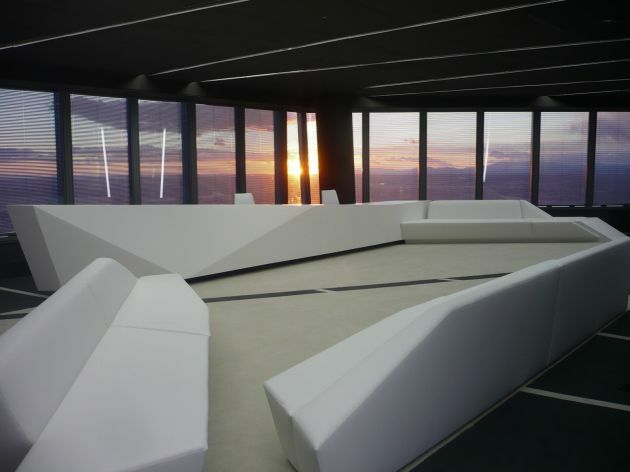 It is a question of a building of shaping the skyline of Madrid and it has a 250 m height and 52 floors. 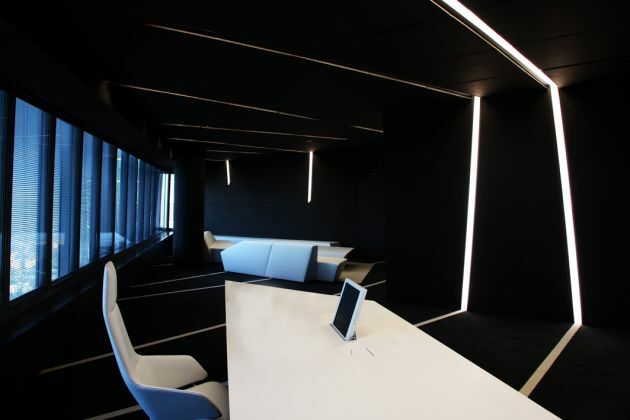 This project of interior design carried out by A-cero Studio, there takes place in the 50th foor, which occupies the areas of offices of presidency of an important Spanish company. 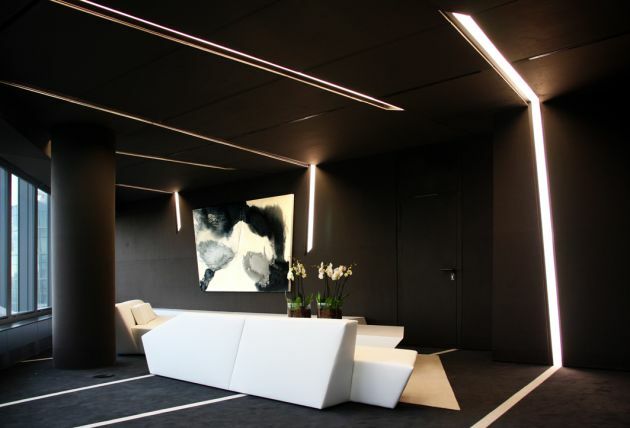 They emphasize the dark tones in general, the walls and roofs of suede are covered in dark grey colour, there are left opportune openings of lighting that continue in the soil with white carpeting in contrast with the carpeting of dark tone that they cover the technical soil of the whole office. 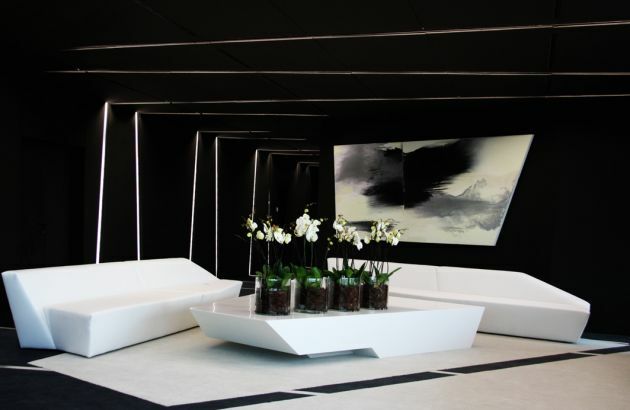 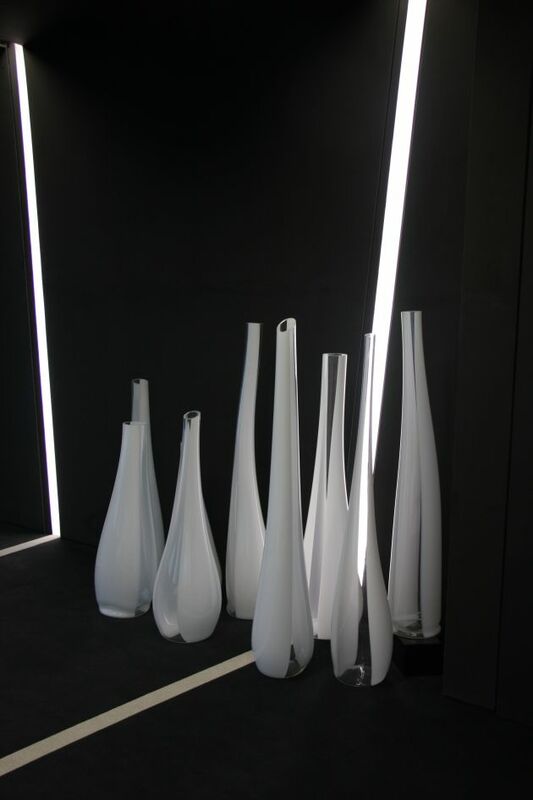 The furniture, design of A-cero, realizes in black and white LG Hi-macs some pieces and in wood lacquered high black and white sheen other pieces. 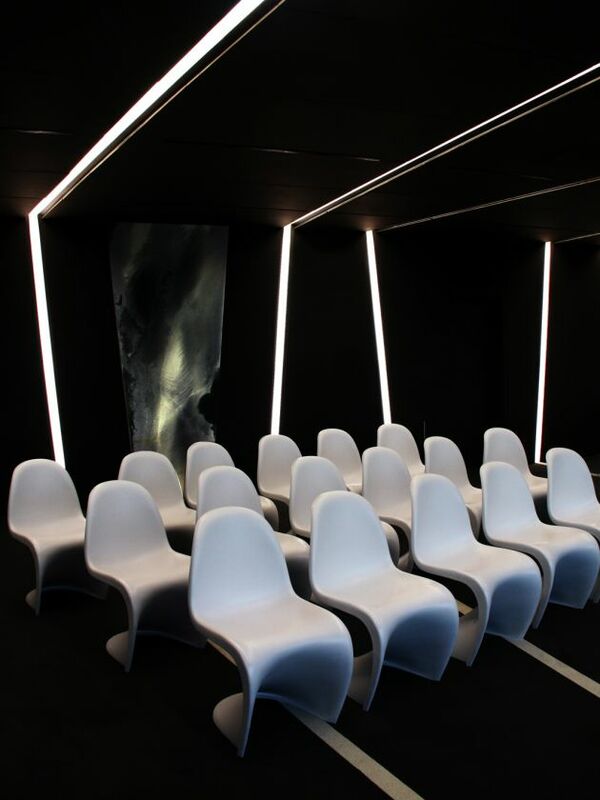 The sofas and chairs also A-cero design finished in white skin. 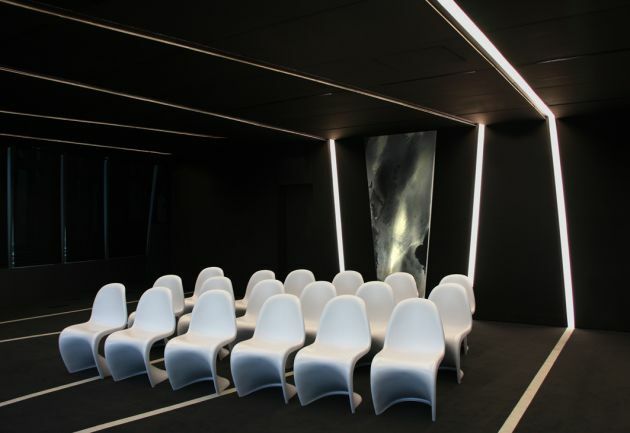 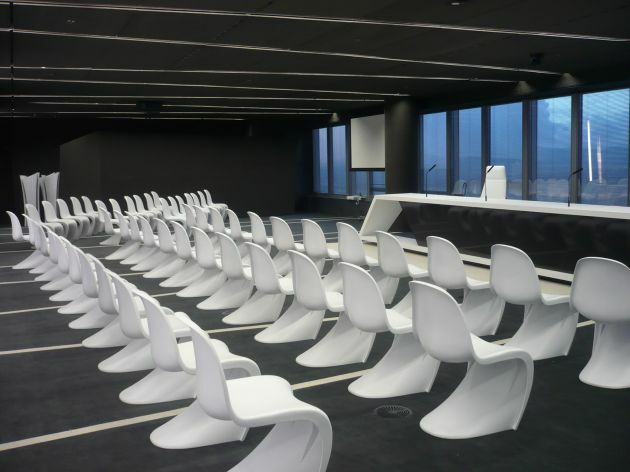 In the conferences room there get ready chairs white Panton. 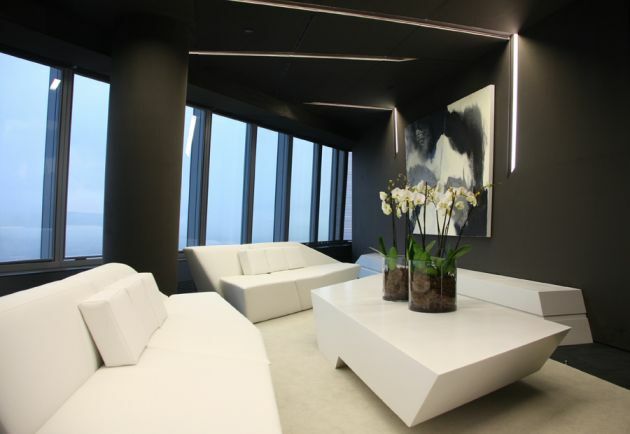 The set of the office continues a coherent conductive thread among the rooms and consistently with a clean and modern style.